Take one artist called Jordan Feliz and one microphone, and give him one shot at recording what is essentially stripped back versions of his songs. Much respect to him as so much could go wrong with that idea. You know how with live TV and music, anything can happen. Read More Take one artist called Jordan Feliz and one microphone, and give him one shot at recording what is essentially stripped back versions of his songs. Much respect to him as so much could go wrong with that idea. You know how with live TV and music, anything can happen. Call me cynical but I'm not sure if during the recording we would have heard if Jordan's vocals gave up mid song or the guitars suddenly went out of tune or the cajon player fell off his cajon. Would we have heard those takes on this record? Nobody wants to release something like that. So maybe there were a few edits or retakes. What I did find with this release is that these are really raw and gutsy recordings. But can I be the first to reassure you that they are not poor recordings. These are honest versions of these songs. Jordan's vocals have never been recorded so bare as this. If there was any weakness in the songs or his vocals (and there are not) it's this kind of setting where those faults would come to the front. These songs are strong, Jordan's voice is strong, so together it all works fantastically. 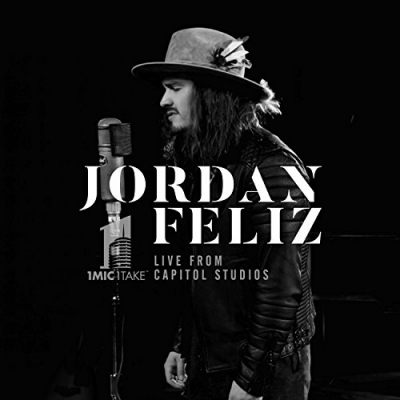 If you're a fan of the music of Jordan Feliz you really do need to get this album straight away. As a fan of his music personally and his songs, hearing these recordings was a real treat. If you're new to Jordan and his music this might not be the best starting point to come into his music. Please check out his album The River, enjoy that, then come back and pick this up!